Bracing for a final clash with the evil warlord Morgarath, the Rangers rally the kingdom’s allies, and Will is chosen, along with his friend Horace, as special envoys to nearby Celtica. But the simple mission soon takes an unsettling turn – the Celticans have disappeared, their town abandoned. The scheming hand of Morgarath, it seems, has been far from idle. He has found a way to bring his legions over the once impassible eastern mountains and is planning to ambush the king’s army in a rout. Now with help many miles away, Will and Horace are the only ones standing in the way of the dark lord’s plans. They have shown great skill and courage in their training, but how will they fare in the face of true evil? 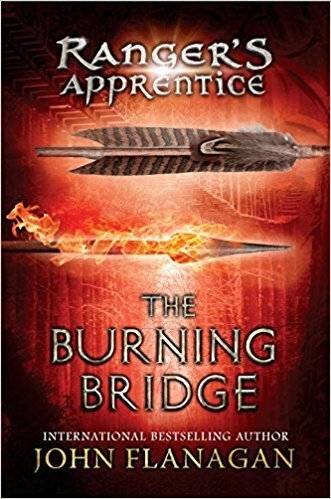 I thought The Burning Bridge was written just as well as the first book in the Ranger Apprentice series. I really like this writing style and Flanagan does a good job of keeping the plotting going especially for young readers. I think this series is a lot of fun to read even for me who is older than the recommend age group.